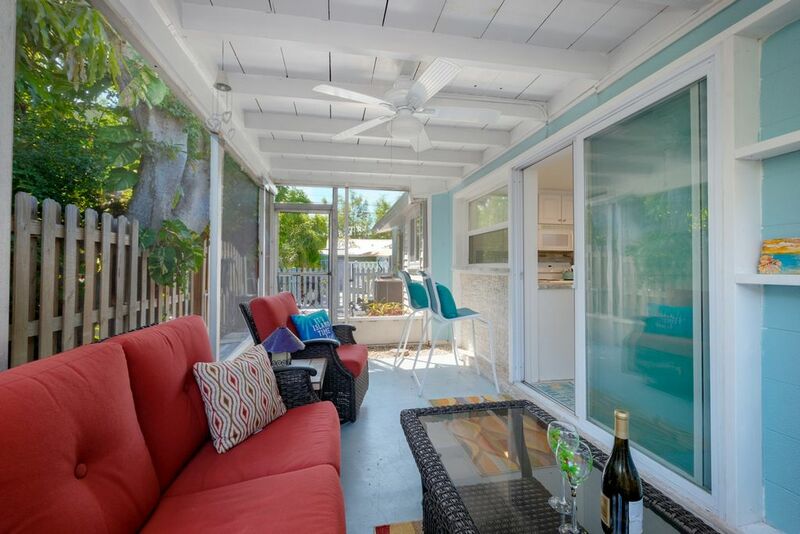 Don't miss your chance to stay at the north end of Anna Maria Island in the highly desirable village of Anna Maria, one of Coastal Living Magazine's Top 10 Happiest Seaside Towns for 2018! 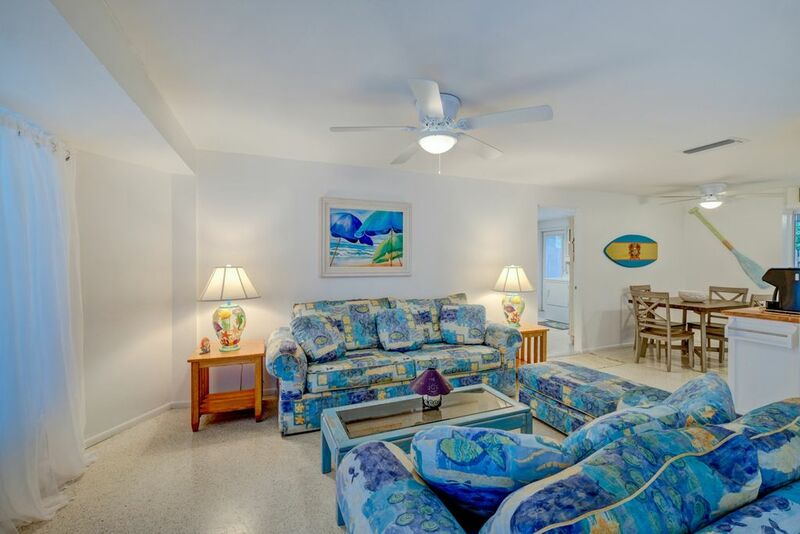 Located right in the middle of all that happiness, Beach 'n' Bay is the island vacation duplex that's so tropical and fun, you'll swear you can hear steel drums! 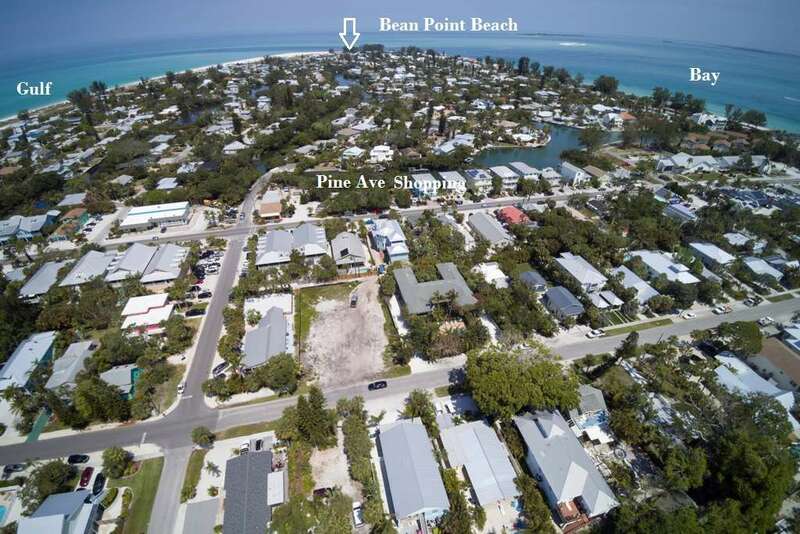 Ideally situated at the corner of Spring and Crescent Avenues, it's right in the middle of everything the village of Anna Maria has to offer. 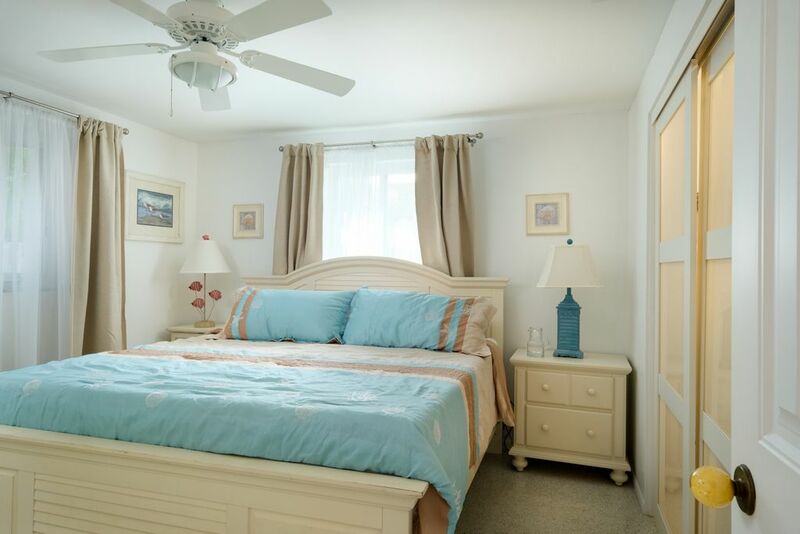 An easy stroll will take you to our gorgeous Gulf of Mexico beaches, the Anna Maria Community Theater, shops, award winning restaurants, the Anna Maria City Pier, the Anna Maria Historic Society Museum, and the shores of Tampa Bay. 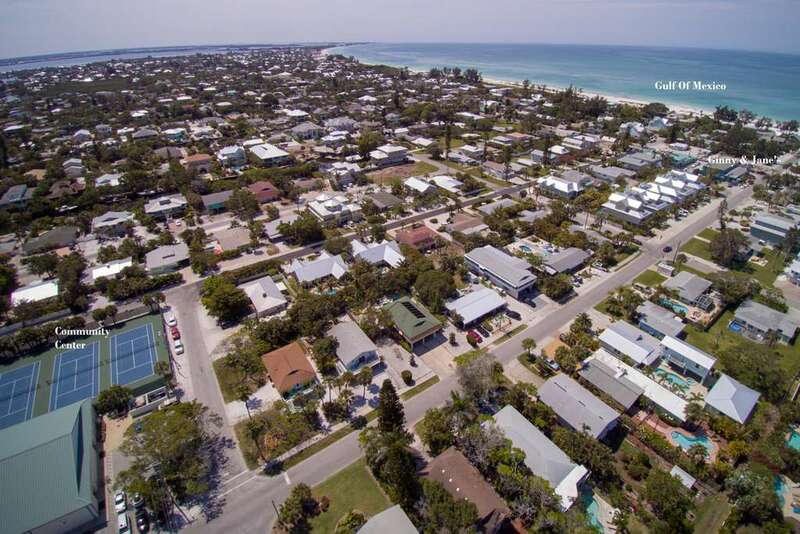 You can even find shuffleboard courts and some lively competition tucked away behind the Anna Maria City Hall. If your preference is more strenuous exercise, the Community Center is right around the corner, complete with tennis courts and exercise facilities. They also offer pickle ball and yoga, two activities popular with locals and visitors alike. Stops for the free Island Trolley, which runs the length of the Island every day from 6 in the morning until 10 at night. Could this get any better? 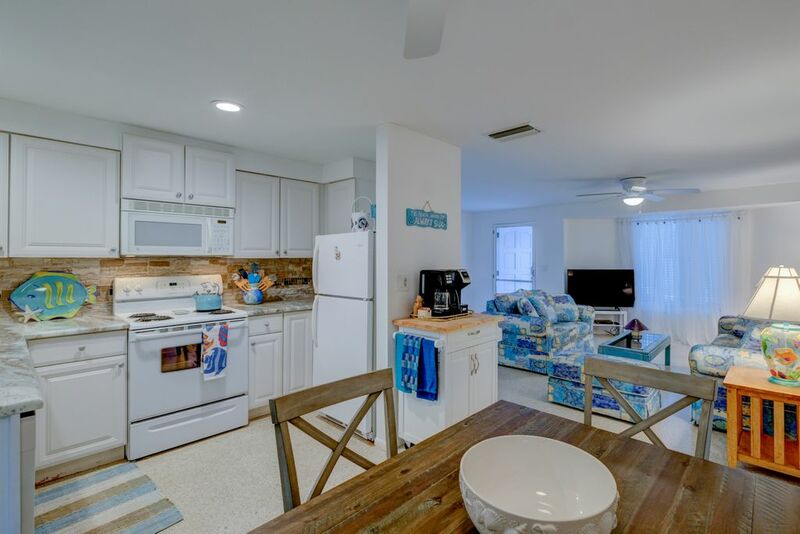 If you like hanging out under the sun and stars when you're in Florida, Beach 'n' Bay will be the perfect place to call home! 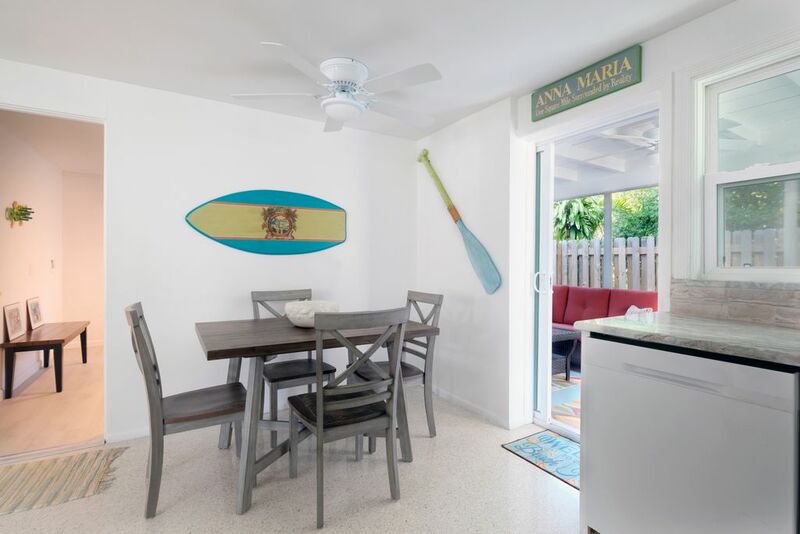 Be sure to pack your mini drink umbrellas, because you'll want to jump right in the pool, tropical drink in hand, and soak up the Anna Maria sunshine! 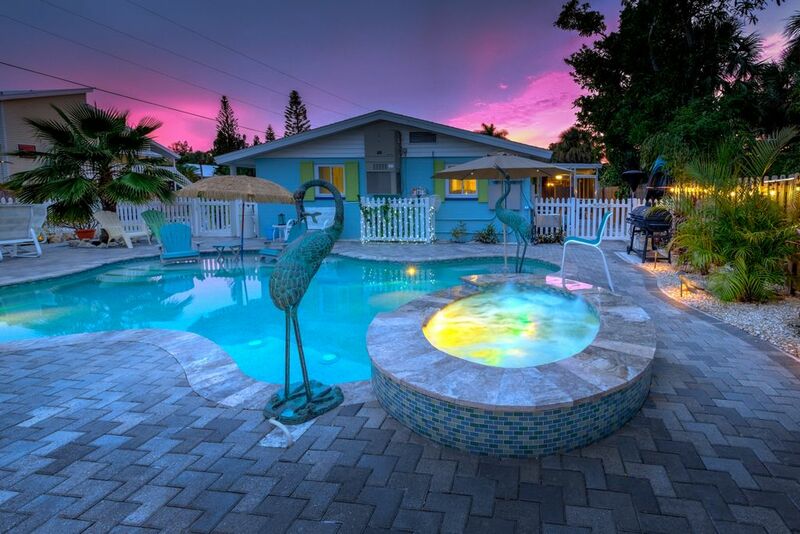 This fantastic salt water pool isn't just heated for wintertime enjoyment, it's one of only a handful of pools on the Island that are cooled for those hot summer months! At one end you'll find a tanning ledge, designed for sunbathing with your toes in the water, also a great place to supervise little ones. On the other you'll find a swim-up bar table and stools, as well as a spa. PLEASE NOTE: You'll share the use of the pool with the unit next door. OR, for an additional weekly fee of $150 you can have EXCLUSIVE use of the pool for the duration of your stay! (option not available 9/4/18 through 9/14/18, and 9/22 through 9/28/18). Lovely bronze herons serve as deck jets, shooting water into the pool. Your outdoor amenities are rounded out with a big grill that offers options for smoking, as well as cooking with gas or with charcoal. 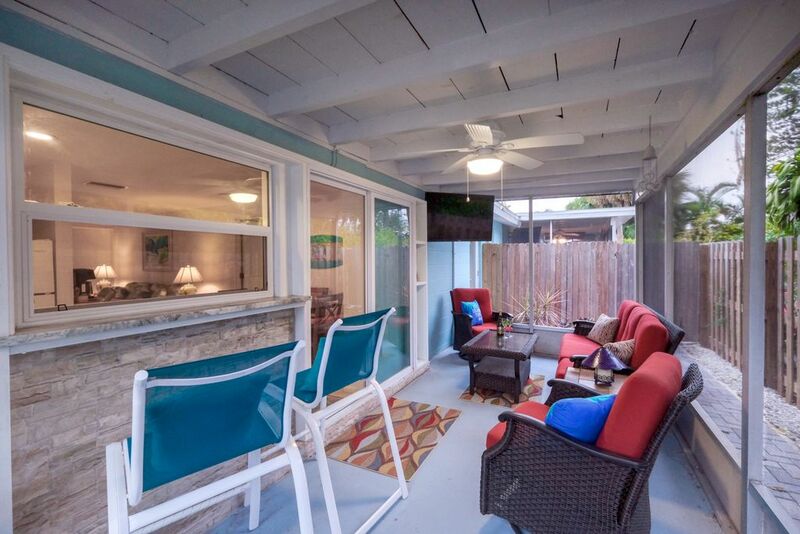 There's also a drink cooler, a firepit surrounded by Adirondack chairs, an outdoor shower, and a screened porch with flat panel TV. 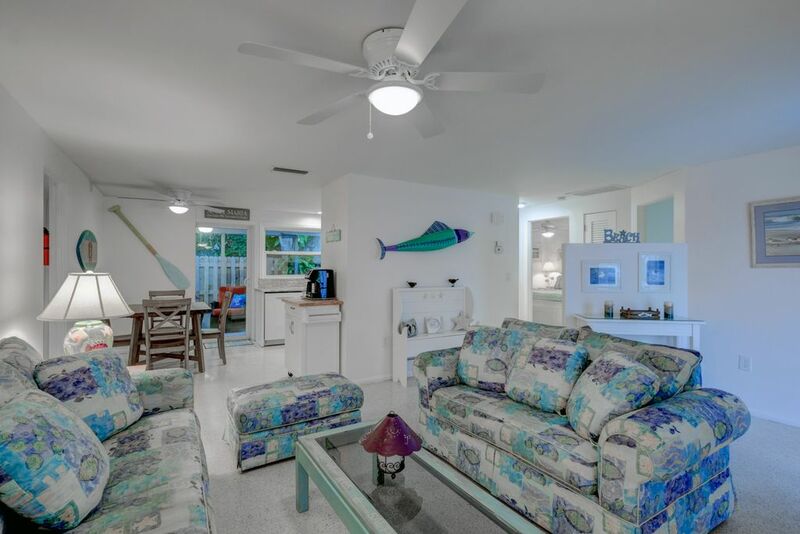 Inside you'll find charming tropical décor with a beachy vibe, including that marvelous Mid-Century Modern invention, terrazzo floors. 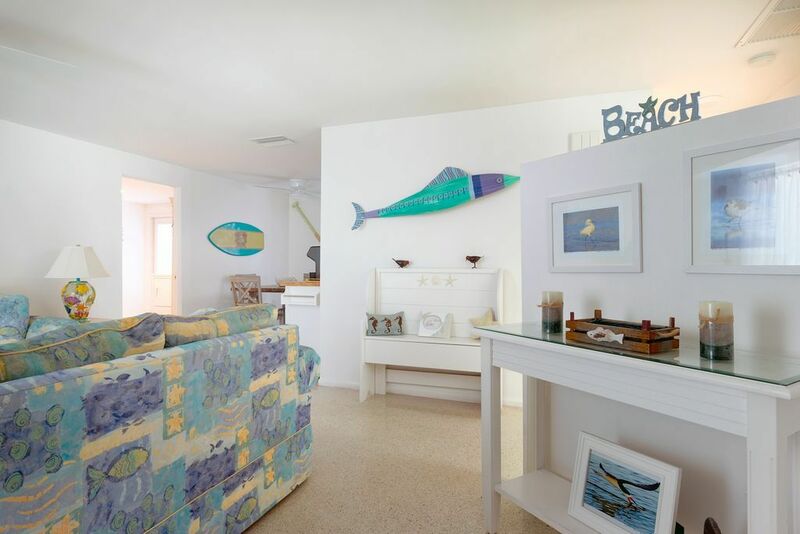 It's the PERFECT surface for the beach, with its cool, smooth finish dashed with sparkles. 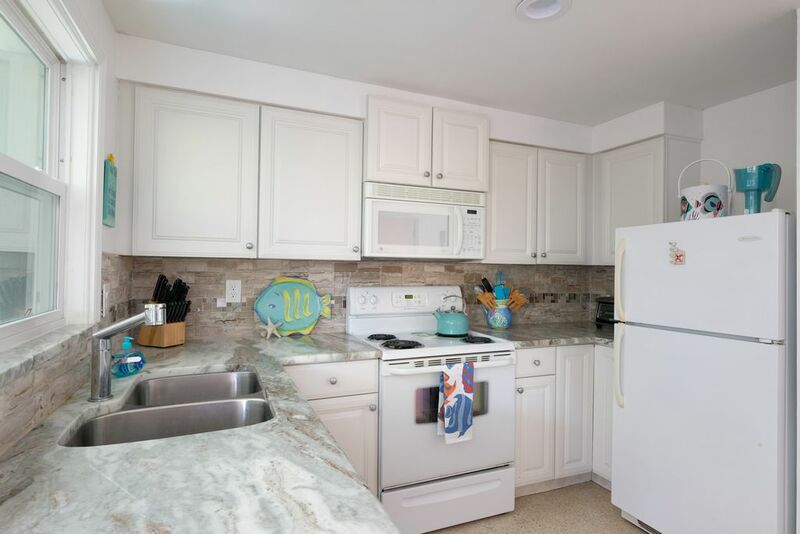 Both the eat-in kitchen and the bathroom have been updated with quartz countertops and lovely finishes. 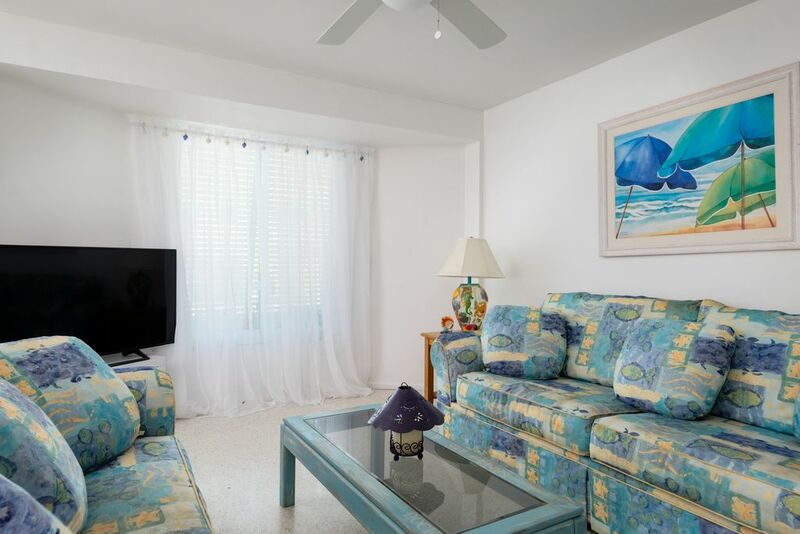 When you're ready to watch tv or stream your favorite shows, you'll find a flat panel tv in the living room, as well as one each bedroom (and don't forget the one out there on the screened porch!). 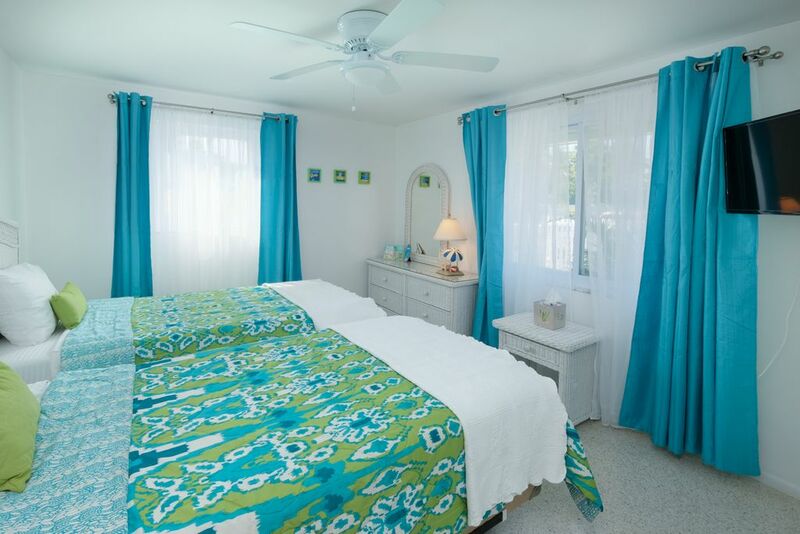 Days in the sunshine and on the water always make for a good night's sleep, but room-darkening curtains in each bedroom will help you sleep late whenever you'd like. Each bedroom overlooks the pool, with one featuring a king bed complete with a Tempur-Pedic® mattress, and the other has two cool-gel memory foam twin beds that can be turned into another king (simply let our office know ahead of your arrival to insure the transformation). If necessary, extra guests can sleep comfortably on the queen sleeper sofa in the living room. Newly added laundry room doubles as a pool changing room. Bring your wet items striaght from the pool to the dryer, and enter back through the dining room. A NOTE ABOUT POOL HEATING & COOLING: A additional fee of $100 per week (plus tax) is mandatory on all reservations for this property. The pool area is fantastic! We spent most of our time under one of the several umbrellas enjoying this gorgeous outside area. We utilized the additonal expense of the cooled pool. July in Florida is HOT! The caretakers live in the adjoining side of the duplex and are very friendly and nice! It was a very nice property that allowed dogs, hard to find! You will love this place!! I loved my stay at Beach N Bay. This property is very well appointed. The kitchen was well stocked. It was great having the washer and dryer on site. I really liked the ability to have one bedroom with two beds or combined to make a king. Helpful! The pool area is absolutely gorgeous. We loved it!